The NFL season is upon us. Tomorrow is the first game of the season. Thank goodness everyone came to their senses and took care of business so that us fans weren’t deprived. This means home games and tailgating. It also means not a great time to try and eat healthy. Hamburgers, buffalo chicken wings, chips and dip. The list goes on and on. I have however, found a website that has healthy tailgating recipes that actually sound like they will be delicious to eat. It is EatingWell.com. The first recipe I am going to try is the Boneless Buffalo Wings. If they taste as good as I think they will, EatingWell.com is going to be my new best friend this football season! Check out the recipe, make it and when you find out they are delicious, order a case of all the ingredients you will need from BuyTheCase.net, ’cause you will be making these wings all season long!! 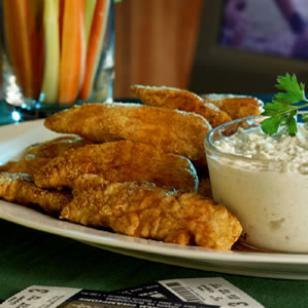 This entry was posted in NFL, tailgating and tagged buffalo chicken wings, bulk shopping, BuyTheCase.net, EatingWell.com, football, NFL, tailgating. Bookmark the permalink.